Fights against entrenched and powerful forces are sometimes waged from highly improbable places. As a case in point: Brian Concannon is taking on the United Nations from the sanctuary of a quiet former convent in Andrew Square. Concannon runs the Institute for Justice and Democracy in Haiti, an advocacy group for legal rights for Haitians. The institute’s current fight, one that is garnering worldwide attention, is for the UN to take responsibility for the scourge of cholera unleashed in Haiti after the earthquake of January 2010. 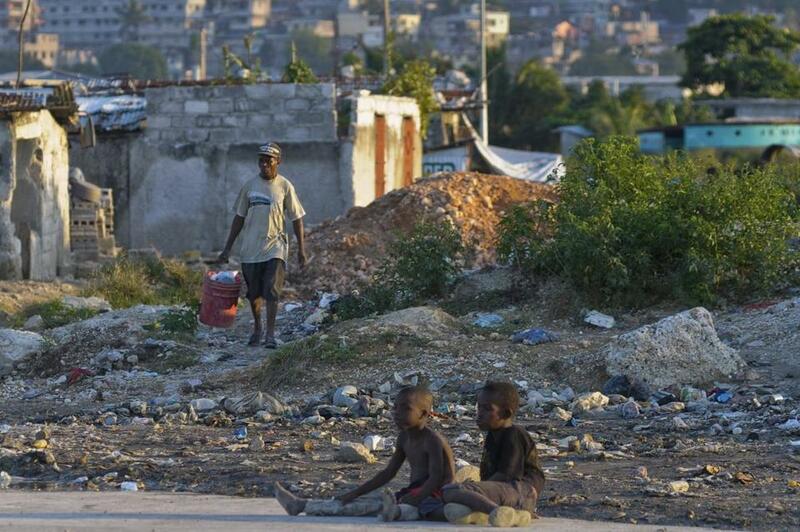 The cholera epidemic has claimed more than 8,200 lives so far. The facts of how a nation that had eliminated cholera came to be in throes of an epidemic are not in dispute. Tragic, but not disputed. Among the peacekeepers dispatched in the wake of the Haiti earthquake was a team from Nepal, a country that was then suffering an outbreak of cholera. They brought the disease with them, and it spread when raw sewage from their camp found its way to a major river. By late October, the first cases were being reported. A few months after that, tests confirmed that it matched the strain afflicting the Nepalese. Concannon’s group is part of a legal team that is seeking action against the UN. It argues that it inadequately screened their personnel. The UN, in turn, has declared that a series of international agreements render its policies immune from legal action. Concannon came by his commitment to human rights in Haiti almost by accident. A Marshfield native, he was working as a young lawyer at Mintz Levin in the early 1990s when he decided he wanted to pursue his passion for human rights. He thought he might work in Rwanda. Instead, his first offer was a job working for the United Nations in Port-au-Prince. He arrived in 1995, intending to stay a year or two. Instead he stayed for nine — two years with the UN, the rest with a legal aid group in Haiti. As it has for so many people, Haiti got under his skin. The Institute for Justice and Democracy in Haiti draws great inspiration, Concannon told me, from Partners in Health, the Boston-based advocacy group led by the legendary Dr. Paul Farmer. Just as Farmer’s group views health issues as a byproduct of social ills, so Concannon sees legal problems as deeply linked to broader economic inequalities. Concannon’s fight against his former employer is not going to be easy. The cost of building the sewage system needed to staunch the spread of cholera is estimated at around $2.2 billion, while compensating victims could add perhaps $200 million more to the bottom line. Some UN apologists argue that it simply cannot set a precedent of assuming billions in liability for the actions of its humanitarian peacekeepers. A person dedicated to pursuing justice in Haiti learns to celebrate every victory, no matter how accidental. So Concannon notes that the one positive development of the 2010 earthquake was that it emptied Haiti’s national penitentiary, which was filled with political prisoners who had been jailed unjustly. Many believe the guards freed the inmates, but Concannon knows otherwise. Adrian Walker is a Globe columnist. He can be reached at walker@globe.com. Follow him on Twitter:@Adrian_Walker.